Windsock says ride north young man. So I did. Note the windsock located on Hwy 1 near Waddell Beach. Winds are from the south. Huh? Yes, winds do come from the south on the coast, especially when a tropical storm moves in from the Gulf of Mexico. You can be sure I knew in advance which way to ride today. I motored on the flats and downhills as fast at 30 mph. Not bad for a geezer. Meanwhile, during my brief stop for victuals, a local resident of Davenport bemoaned the potential naming of the Coast Dairies as a national monument. He sees it as a magnet for more crowding in the form of traffic. On the bright side, more government money may be shaken out for buying land as open space and that’s always a good thing. I’d rather see our money go here than being spent on needless high-tech weaponry like the F35. Cyber security, now that’s another matter. But I digress. This entry was posted on June 27, 2015 at 4:53 pm and is filed under Ride reports. You can follow any responses to this entry through the RSS 2.0 feed. You can leave a response, or trackback from your own site. Yes, we DO have southerly winds on occasion. 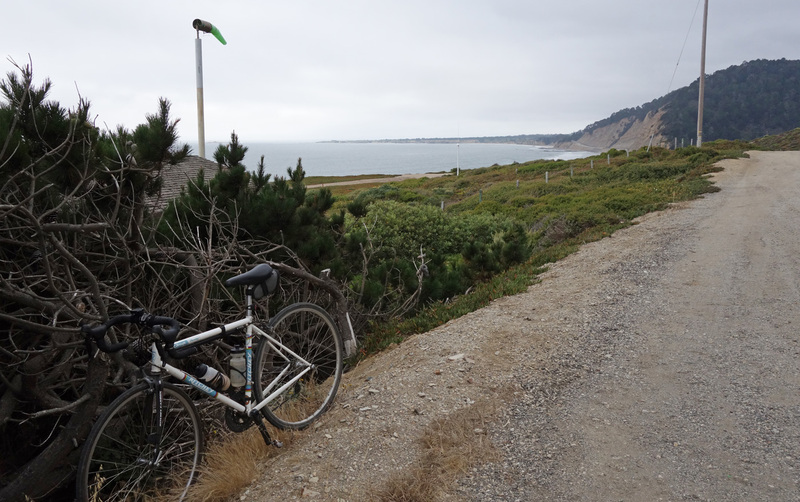 Wind–from any direction–is truly a “four-letter word” when you are riding into it. Glad yo had the foresight to look at the wind direction before you left home.